With FastStart, we’ve introduced a patented, new technology that gets you into your game in half the time.1 FastStart-enabled games use crowdsourced data to identify the parts of the game you’re most likely to need right away and they download those parts first. You’ll be playing in full-fidelity with just a fraction of the game installed. Wait less, play more. 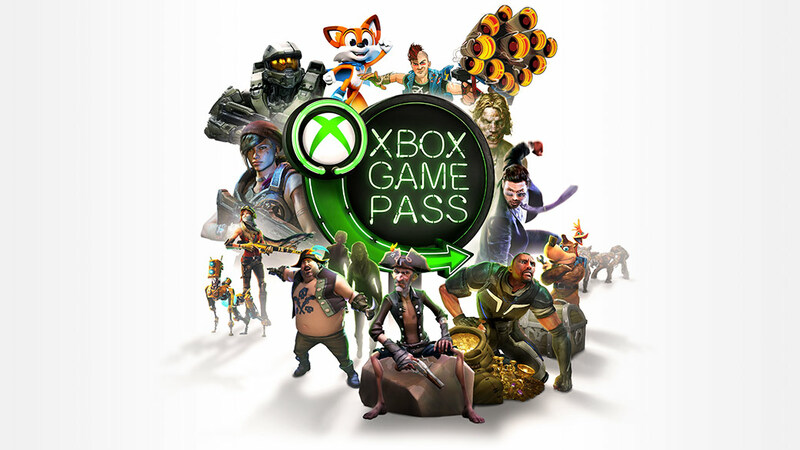 Play new Xbox exclusives the day they launch and over 100 more great games for one low monthly price with Xbox Game Pass. Sign up today for a 14-day trial. Which titles will be FastStart-enabled? At launch as part of the June update, a select number of popular titles will be enabled for FastStart. We’ll begin with English language versions of titles on consoles running in English, in our Xbox Game Pass catalogue. And the FastStart catalogue will expand to more games in more languages over time. Please check back soon for the full list of supported games. What is FastStart and how does it work? With FastStart, you can now jump into your game twice as fast and play after downloading just a fraction of your title. FastStart identifies which files are needed to begin playing and prioritises the download of those files first. You can quickly jump into fully-fidelity gameplay while the remainder of the game downloads in the background. Should I think of FastStart as similar to game streaming? No. With FastStart, you still download entire games, which are played locally for a full-fidelity experience. How much quicker are start times with FastStart? While FastStart does not speed up download times, by identifying which files are needed to begin gameplay and prioritising the download of those files first, you can generally expect to jump into your game twice as fast as you did previously, on average. Games will still download based on your local bandwidth. That means if a game previously took an hour to download and play, you will now be able to begin gameplay after just 30 minutes. While FastStart is available today for select titles, we intend to expand the library of games over time with no work required by our development partners. Is there a minimum internet speed required to take advantage of FastStart? Yes. At least a 20Mbps download speed will be required to take advantage of FastStart. This helps maximise the number of users who can take advantage of FastStart while minimising the possibility of experiencing gameplay interruptions. Why are you only releasing FastStart for English language versions of titles at launch? By starting with the English language, it allows us to get the benefits of FastStart out to gamers in the shortest amount of time, while gaining valuable feedback to expand to other languages and titles in the future. Is it possible for FastStart to negatively impact my gameplay experience? If you are in a FastStart-enabled game while your game is still downloading and your internet connection is interrupted, you may receive a notification stating that your connection speed is low and you need to wait for the game to continue downloading before you can continue playing. Is FastStart the same as other ‘Ready to Start’ games I’ve seen? No. ‘Ready to Start’ is a feature that requires publisher work and may be an inconsistent experience from game to game. For example, some games take you into the title only to present a menu or loading screen as the game continues to download in the background. With FastStart, our intention is to get you into your game as quickly as possible with no extra work required of developers. 1. Select titles only. Title support subject to change. Some titles may not be available in all regions. Requires 20Mbps download speed. Average improvement across FastStart-enabled titles; performance varies by title and internet connection.